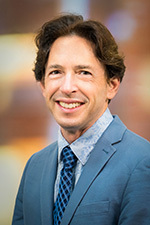 Dr. Steinberg received a PhD in biochemical genetics from the University of London and completed a fellowship in the Department of Neurology at Johns Hopkins University, where he was also an ABMGG trainee in clinical biochemical and molecular genetics through the Johns Hopkins Institute of Genetic Medicine. He has been an advisor at the ABMGG training facility since 2006 and was a founding member of the Medical Scientific Board at the Global Foundation for Peroxisomal Disorders. Prior to joining ARUP, Dr. Steinberg was co-director of the Johns Hopkins DNA Diagnostic Laboratory. His research interests include exploring the metabolic and molecular bases of inherited disorders, improving diagnostic approaches to these disorders, and developing strategies for screening chemical libraries to identify candidate therapeutic molecules. He has focused most intensely on peroxisomal disorders and recently developed and characterized a Pex1 mouse model that can be used for testing novel treatments for Zellweger spectrum disorders.